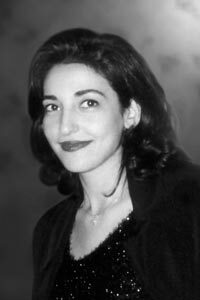 SANA was established in loving memory of Dr. Sana Elias (1967-2004). Dr. Sana was a brilliant pediatrician with a special interest in neonatology. She received her medical degree from the Lebanese University in Beirut in 1993 and completed her residency in Pediatrics in 1997. Her residency training was done at the St. Charles Hospital and the St. Georges Hospital in Beirut, as well as the Hopital Notre Dame de Secours in Jbeil. She specifically focused on Neonatlogy and Reanimation and spent a year in Paris, France at the Hopital Raymond Point Carre and the Hopital Robert Delere. Her doctoring and humanity impacted countless newborns and children whose lives she touched, and their respective families whom she helped deal with various ailments. SANA aspires to keep her legacy alive. Dr. Sana is survived by 2 daughters, Mia (2002) and Lana (2004).